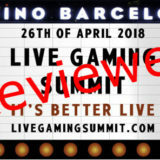 Live Gaming Summit Review - A Live Casino Comparer Review. I’m really glad I made the effort to attend the Live Gaming Summit in Barcelona on the 26th April 2018. The weather was hot, the food was great and the company excellent. As conferences go it was a relatively small affair, however that was a good thing as it gave me a chance to get round and chat with most people there. I’ve written this Live Gaming Summit Review to give an general overview of the day and have deliberately not gone into the details of everything that was said. I hope you get enough of a flavour of the day to see what was covered. I’m not affiliated with the event. You’d know if you attended, that I didn’t necessarily agree with some of my peers on some on the subject matter, which makes for a good healthy debate. 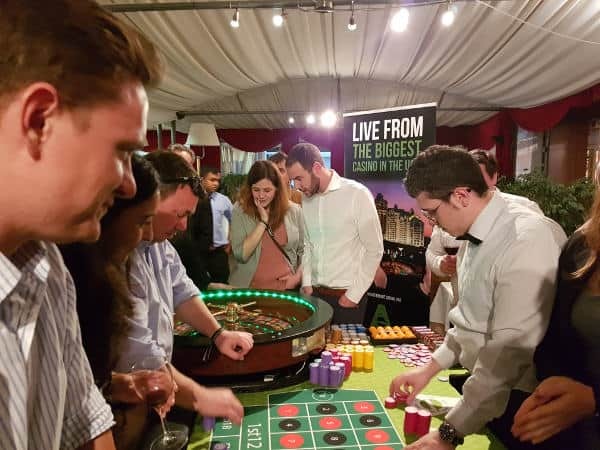 As for attendees, there was a mix of suppliers, operators and a few affiliates with an interest in Live Casino. 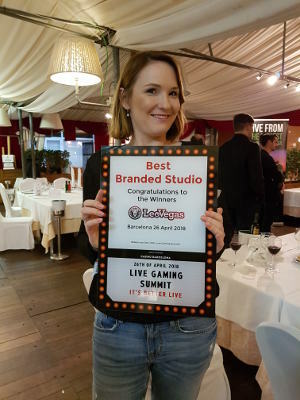 Where was the Live Gaming Summit event held? The event was held at the Casino Barcelona, a large and welcoming casino right in the heart of the port. It was a two minute walk from my hotel which was a huge plus when you’re making you way back at 4am! The Agenda was an interesting mix of presentations from suppliers and operators. The day ended with a panel discussion on the subject of a Better Player Experience, which I had been asked to sit on. Presentation topics included Keynote speeches from Kevin Kilminister of Playtech, Karolina Pelc of Leo Vegas & Darwyn Palenzuela of Extreme Live Gaming. A panel discussion on New Games, Localisation and the role of Female dealers was thought provoking. The session on the synergies/differences between land based and online casinos access to real time game data was enlightening. I can’t say the same for the Innovation in Streamed Lottery which was essentially a sales pitch for their product. The Technologies for HD streaming was a very technical presentation on bandwidth. It took me back to my days in IT. There wasn’t an open eye in the house by the end lol! All of the presentations were pretty much, this is what we have done, or this is what we are going to do, or this is how this works. Nothing really exciting was revealed. That’s the nature of the beast I guess, no one wanting to reveal what they are really doing in case they lose that first player advantage! I felt the panels would be the most interesting part of the day. I like to hear people’s views and opinions in a more relaxed way than the more structured presentations. You sort of had to go through the presentations first so you could get the value from the panel sessions. Unfortunately time was against the Better Player Experience panel that I was sitting on, so we didn’t get to explore as much as I and the other attendees would have liked. I was keen to express my view in an open forum of why the Player experience was so important. I managed a bit, but think I probably achieved more in the one to one discussions I had afterwards. Shame as I felt this one session would provide the best value for the conference goers. I learnt that Live Casino is still doing very well and moving forward fast. The suppliers are focused on providing a quality product, with game and player experience innovation being two areas of focus right now. The operators want to do more for their players. Some have a very clear strategy and some are clearly struggling to work out how to do that. Other casino operators have no clue what they are doing and sadly will struggle to leverage value from live casino players. In my opinion there is still a huge gap between the operator and player and that needs to be addressed. Only one operator, Leo Vegas, really seems to have a clear strategy in place, although others are swimming behind trying to catch up. By far the best part of these events is the networking opportunities they provide. I got to meet some really nice and interesting people from across the industry. It was good to see some familiar faces and meet some new ones. 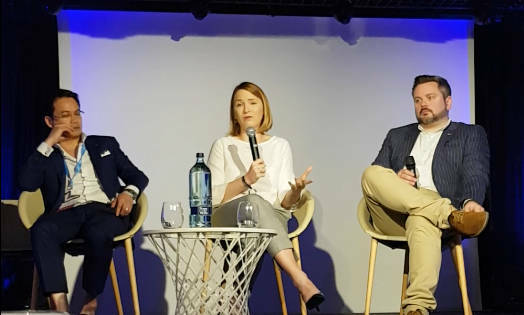 I had some really great chats with the live casino heads from Netent, Mr Green, Grosvenor, Unibet, Betsson, GVC, Genting, MediaLive, Ezugi, Playtech, Leo Vegas and Authentic Gaming to name a few. I also got to meet the guys at LiveCasino.com, a new affiliate site owned by Leo Vegas. It’s not often I get to chat with other people who work in the same area as I do. We didn’t get to chat for long but it was good to make a connection. What you quickly realise is how incestuous the industry is. Most people have worked for at least two or three of the suppliers/operators and most have a Land Based background. Everyone it seemed had been a croupier at some stage in their career. It was funny listening to them all wanting to go back to the good old days! Virtual Reality and Augmented Reality seem to be getting a lot of development time at the moment. Statistics were being banded around by the suppliers and commentators, as if they were trying to justify why they were doing it. The products from MediaLive, Ezugi and Extreme are really cool. I’m fascinated by the technology and how it’s being implemented. Do I think it’s the future for table gaming? That I can’t predict. What I can is say I feel it’s still a gimmick in its current form and will only be used by a very small number of people. The headsets are a barrier. Even if they are supplied by the casinos I suspect they will lay unused after the initial honeymoon period. It’s a niche within a niche and while you have to wear a headset it will remain so. Augmented reality is more likely to enhance the mainstream player experience, so I’d be putting my money there if I was developing anything in this space. Still, innovation is a good things as it helps explore ideas and technologies. This makes it exciting as you don’t quite know what will come from it. Millennials are clearly on everyone’s mind. It’s a focus area all industries are trying to find a way to exploit better, with iGaming more so. These Y Generation are our future, but it will be a while before old bastards like me leave them an inheritance to be spent on holidays, tech and entertainment. Someone at the conference said that 60% of Millennial’s have never been inside a land based casino. I sort of missed why this was important. It’s an interesting fact, but one that doesn’t bear any resemblance to what I see when vising the casinos in London on any evening. It appears that this statistic is important for informing future decisions of the development of live casino. For me it has the potential of being a dangerous red herring. I don’t see the 60% being an issue at all, I see it being an opportunity to exploit. How many of the people attending the conference will know how to do that? 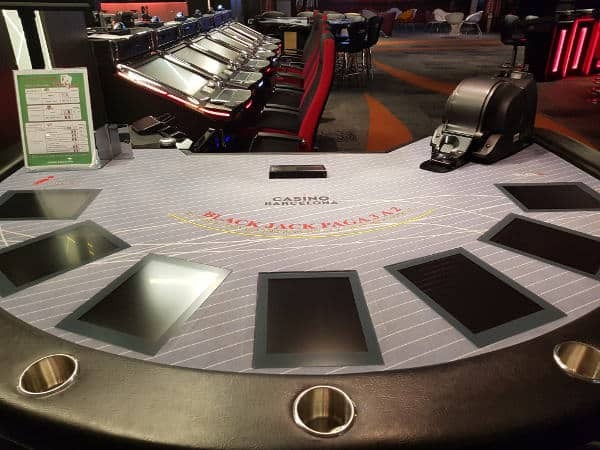 Two land based operators provided feedback on the challenges facing them, and how the online gaming world and in particular Live Casino was helping them solve some of their issues. One of the Land based operators mentioned the competitive edge online casinos have with how much data they have on what players are doing. We saw what his casino was doing to bridge that gap. It’s a bit clunky but seems to work. However my experience later that night showed me how wrong a casino can get it in the search for more data. Where have the chips gone? I experienced the future for Land Based gaming and I didn’t like it! 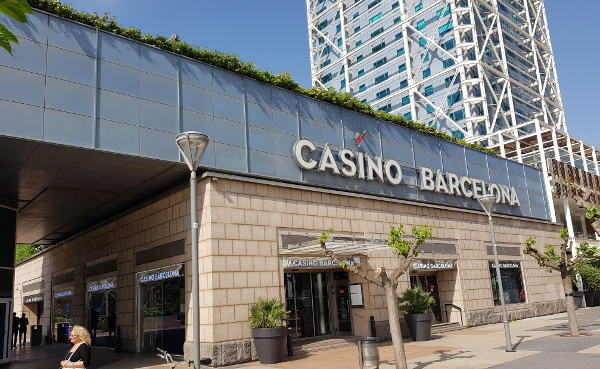 Playing in the Casino Barcelona was an experience if you’re a table game player. Not a good one. I was horrified to find that table games no longer have chips to bet with. There are iPad type devices inset into each player position on the tables. You hand your money over to the dealer, who then credits the screen. You place bets using the screen and are then notified of the result on screen. The dealer does just that, deal. There is no player interaction, no chipping, no banter. The land based playing experience has been destroyed in one easy swipe! Is this really the future for land based casinos? Ok, so they now have the data, fraud and mistakes are reduced. But what about the players? It was a horrible experience and one I won’t be repeating any time soon. Fortunately management at the casino had left 3 tables with chips, they were hidden away from the main casino floor, just like smoking tables used to be. That’s where we sat, rather nosily I’ll add, oiled by a little alcohol. Cheers and loud chat was frowned upon, the pit boss clearly from another era had little patience for anyone enjoying themselves and even less when we were winning. Happy that I had doubled my bankroll I took my chip stack and left as the evening was turning to morning. A cracking dinner was followed by a Roulette Tournament, hosted in the restaurant by Authentic Gaming. Who knew how easy it was to set up a real table and wheel. I wonder if the wheel was leveled and biased checked. I may have been playing a fixed game. lol. First prize was a trip to the Foxwoods Casino Resort in America for two. This is the resort where Authentic Gaming will be streaming the first US located roulette table. I got into the final, but lost while trying a rather high risk strategy to knock out my fellow competitors. For the first year a range of awards were voted for by over 1000 people. The Best Live Dealer product overall – Went to Betconstruct. Best Branded Studio – Went to Leo Vegas. The Best In-Casino Streaming – Evolution Gaming for their Dual Play products. Here’s an interesting example of how a business at the conference could benefit from the experience in the room. I noticed a contradiction that was highlighted during the day. One of the presentations was about using TV as a medium for Live real time streaming and how the ROI on a TV channel was the best value in advertising. The presenter was there to demonstrate his product and get operators interested in this concept. The examples he showed of existing live solutions were very good. The real time tie up’s with online casinos and even one of the Software Suppliers looked slick and professional. For my generation the solution looks good, but that pool of players will likely decline steadily over the next 10 years. Unless the company thinks differently about the future they will find that the Millennial generation will potentially have a devastating effect on their existing business model. Let me explain why I think that. Millennials don’t consume content in the same way as older people like me do. They don’t watch anything live (apart from sports). My kids don’t even have a TV, they stream using Netflix or Youtube, certainly nothing in real time, except perhaps on Twitch. Why the company thinks this generation will switch on a TV they don’t have to watch a dedicated gaming channel and gamble on Live roulette baffles me. I was hoping for some insight from them when I raised the question, but it was brushed aside as if it didn’t matter. All I’ll say is good luck with that! Hope they were listening to the other presentations. I was a bit disappointed that some of the suppliers on the Agenda failed to give their key Note Speeches and weren’t able to find a replacement to speak for them. I would have like to have heard from Ezugi and Authentic Gaming. The absence of Evolution Gaming, while not essential was also disappointing. A forum of this nature should be nurtured. Its success relies on participation, with the suppliers and operators driving the Agenda forward so it was sad not to see them there. However, Live Casino is in a healthy state. Innovation is driving forward product development and the products aimed at players will improve in quality. There will come a time when all games look and play the same, regardless of who the supplier is. The differentiation will be exclusive games, regulated environments and the player experience. Of the three I think player experience is the most important. The suppliers and operators that get this right will create the Best Live Casino experiences. I’d like to thank Willem van Oort, Founder of the Live Gaming Summit, for putting together this event and inviting me along to participate. I really hope this becomes the defacto Live Casino industry event of the year and that more people attend and participate in future years. Live Casino is great. Lets keep it that way.